If you spend most of your time lounging and watching movies at home, then it is best to consider building your very own home theater. Of course, when it comes to creating the home theater of your dreams, start with the basic. First, you can look for the best speaker brands for home theater as investing in your home theater’s speakers is ideal. You will be using it every single time, and it adds a lot of value to the movies or videos you will be watching. It is always more fun to watch a movie especially if the sounds are amplified nicely through your chosen speakers. Good thing that we have enumerated the top five picks for the best speaker brand. 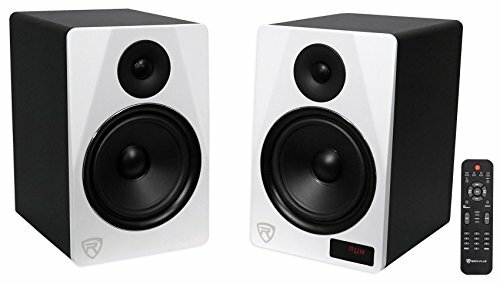 It will give you some idea of what are the common specifications, price points and distinct features that you should look out for when you start shopping for speakers. There are many different factors to consider including budget, design, and features. We will do our best to give you an in-depth guide on speaker brands to aid you in your speaker shopping journey. First up is the 161 Speakers from Bose. It comes in two different colors namely black and white. If you are in the mood for something sleek, then the black speakers will be an obvious choice. However, the white one can add a bit of class to your home theater. The Bose speakers also come with custom brackets so you can install it and place it anywhere to your liking. Despite its small size, its sound power is at par with larger speakers. It is compact, making it ideal for homes that do not have the luxury of space. Hence, if you want to save some precious space, then this speaker is a good candidate. The Bose speakers can deliver robust and vibrant sounds. Its speakers are magnetically shielded which is beneficial if you want to mount or place it near the television. Moreover, if you are accustomed to speakers that only produce sound in one direction, then you will be delighted with this one. It uses a Stereo Everywhere that transmits sounds in multiple directions, making your listening experience more enjoyable. If you are worried about installation and mounting, the Bose 161 offers a plethora of options. You will have a lot of choices on how you place or install your speakers. Furthermore, when it comes to wiring, it is best to ensure that you use the right thickness of the wire or cable. This is to ensure that it will work properly and will not affect its overall performance. Next on our list of best speaker brands for home theater is Rockville. The Rockville HTS8W Home Theater Speakers come in three fascinating colors. You can choose from white, cherry wood and black. It is also able to produce nice bass and impressive highs with its eight-inch woofer. Hence, this set of speakers is all you ever need to complete your home theater system. If you want everything in one set, then you will be keen to own the Rockville HTS8W. As this home theater speaker already has everything you are looking for. There is no need for you to worry about amps and receivers. The two speakers are all you will need to experience great sound quality at the comforts of your own home. It does not hurt that it also has a sleek and modern design. Rockville is confident with their product that they even offer a 90-day money back guarantee. If you are unsure about the quality or fit of this product, you can order and test it out. On the other hand, if you do not get swayed, then you can return it for a refund. When it comes to features, this speaker has Bluetooth connectivity, USB ports, SD card compatibility and an FM radio. You are set to start rocking to some good music because the speakers are bi-amped. This only means that there is a designated speaker for the highs and the lows. Now let us move on to the build. You will notice that these speakers are encased in MDF wood instead of plastic. This makes for better sound acoustics. To top everything off, these speakers also come with a remote for easy navigation and use. The first two products mentioned are your typical speakers when it comes to the feel and looks aspect. The Polk Audio T50, on the other hand, is a different style. 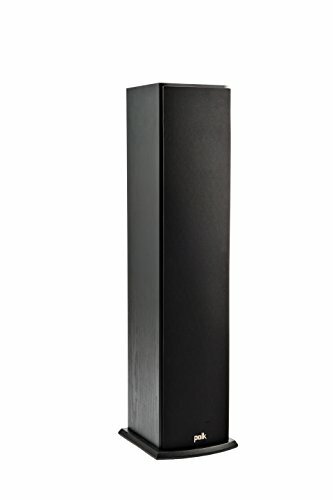 It is a standing tower speaker which is an absolute welcome addition to your home theater. Suitable to use for watching action flicks with various sound effects or when you are just playing out some tunes. Since it uses a dynamic balance technology, the sounds produced by the Polk Audio T50 are crisp and flawless. You will be happy to know that it supports Dolby and DTS too. Not only that, it is very easy to set up and can connect to your usual receivers and stereos. If you cannot bear to hear substandard sounds, then it is time to switch to the Polk Audio T50. Its specifications include an inch silk dome tweeter, a 6.25-inch composite driver, and two front sub bass. In terms of build, this speaker is encased in an MDF structure. It comes in a black oak finish. If you are worried about the setup and installation, this speaker is one of the easiest to set up in the bunch. The back panel has the outputs where you can connect your cord from the speaker to the receiver. Overall, you get great sound quality and value for its price. 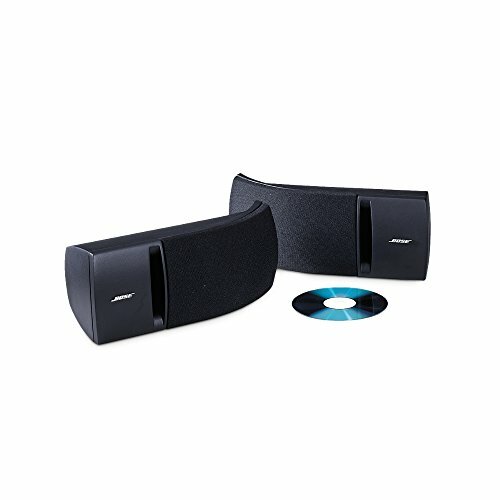 If you are the kind of person who wants everything in one go, then you will be fond of the Monoprice home theater speakers. This product comes with six speakers in one box which include four satellite speakers, a center channel speaker, and a sub-woofer. Despite its small appearance, the Monoprice can pack a punch. It can deliver loud and great-sounding music in an instant. When it comes to installation and mounting, you can hook the four satellite speakers up. It typically handles a 16 gauge speaker wire. For its price, you are getting six speakers and a nice setup. If you think the sound power is limited, then think again. It can handle up to 125 watts of power and can support frequencies 150 Hz to 20 kHz. It may be simple in design, and how we wish you have more color options. Still, the Monoprice may be straightforward, but it can get the job done. Last on our list is the Fluance AVBP2 Satellite Speakers. This is a bipolar surround sound speaker that can mimic the quality of the sounds you hear in the movie theater. This is made possible because it is a full-range speaker system that produces a 3D soundstage. The sounds transmitted by this system spread all over the room. Furthermore, it is ideal to place the Fluance AVBP2 on either beside or behind the audience to guarantee the best listening experience. The Fluance AVBP2 has neodymium tweeters which makes it possible for the listener to hear the highs. This is very much appropriate if you are watching some thrilling or high energy film or videos. If you crave for rich music or sounds, then the Fluance will be able to give that to you. It is composed of four-inch mid-range drivers that allow the audience to hear the rich tones and notes. 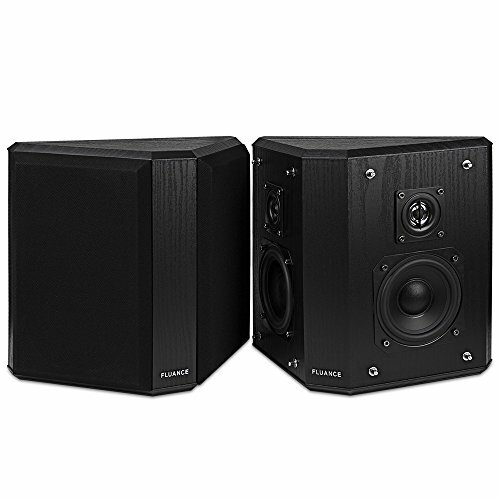 In terms of shape and design, the Fluance AVBP2 has a trapezoidal shape that promotes the home theater sound. It is also enclosed in MDF wood to decrease resonance but still be able to produce excellent sounds. It also comes in a sleek and black color that perfectly blends with your home theater interior. Now that we have enumerated our best picks for speaker brands, it is time to decide on which is the best one for you. As you can see there are various types, design, and sizes available to choose from and it can be tough and confusing to decide which one. The best thing that you could do is to determine your preferences and start from there. For example, if you have a limited space in your home theater area, then you should choose a speaker that is compact. This way, you will be able to save some space but still get the ideal sound quality and volume. You may go with the Bose 161 speaker since it not only it occupies a small space, but it also comes in a sleek black or white color. It is also magnetically shielded so you do not have to worry about placing it near your television. Moreover, it is easy to mount or install, and you can have different placements for this but remember that it requires an amplifier or receiver to function. On the other hand, if you want a speaker that has a lot of frills, then the Rockville 1000W Home Theater speakers are your best bet. You have three colors to choose from and surely one would fit your taste and aesthetic. When it comes to connectivity, the Rockville gives you a lot of leeways. You can connect via USB, SD card or Bluetooth. Moreover, if you are the type who still listens to the radio, then you will be delighted that this speaker has a built-in FM radio feature. Meanwhile, if you are still unsure about purchasing the Rockville speakers, then you can always take advantage of its 90-day money-back guarantee. Meanwhile, if you want to move away from the typical looking speakers, then we recommend the Polk Home Theater Speaker. This particular speaker is a standing tower speaker which made use of Polk’s dynamic balance technology. It is encased in an MDF wood enclosure and has a black oak finish. If you like a different design then the Fluance AVBP2 is appealing. It is trapezoidal in shape. Same as the Polk speaker, it is enclosed in MDF wood for reduced resonance. However, it also comes in just one color. If you are still torn between all the speakers we mentioned then you could go with some of the safest options. 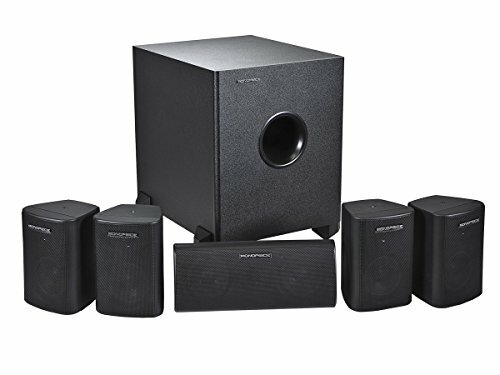 For one, the Monoprice Home Theater Speaker System gives you everything in one box since it is composed of six individual speakers working together as a set. Even with its small size, it can deliver great volume in terms of sound quality. It also has a good price point. Although it is very simple and does not have outstanding features and options for connectivity. Overall, if you can do the necessary research and if possible find time to see a demonstration of the speakers, then great as it would really help you decide. It also depends on your budget, there are many options available depending on how much you are willing to spend. Another thing you could do on your end is to read user reviews. This will help you get a feel of what it is like to install and use your chosen speaker. Lastly, you may find it helpful to look and listen to recordings online of the sounds produced by specific speakers. It will give you some idea if you like the way it works and plays.